No dandruff. Reduced itching. Reduced hair fall. Himalaya Herbals Anti-Dandruff Hair Cream is a breakthrough, herbal anti-dandruff formula containing Tea Tree Oil and Rosemary that provide effective anti-dandruff action and reduced hair fall. Holy Basil and Sesame soothe the scalp. 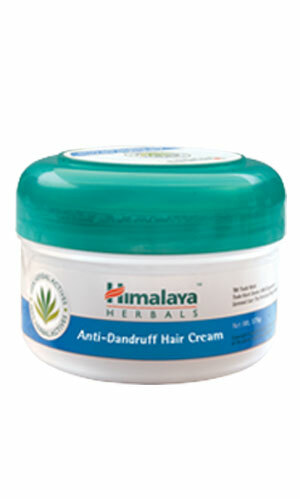 Massage Himalaya Herbals Anti-Dandruff Hair Cream gently on the scalp and hair, leaving it on overnight. Use daily before and after hair wash. Apply to damp hair after every wash for dandruff free hair, and experience reduced itching and flaking.